Buccaneer Battle. I thought it was a water ride, but you don't get wet. No good for cooling me down on a hot day. It had potential as an entertaining ride for children, but the manual cranks on the pumps make it too difficult for small hands to do anything interesting. I'm not even going to talk about Bucaneer Battle because I think we all want that attraction axed. I'm going to go along and say remove the Demon. Sky Trek Tower this year and Buccaneer Battle next year. Sky Trek Tower has limited hours and is breaking down a lot this year. With the Pictorium gone, this would be a great time to implode the tower. 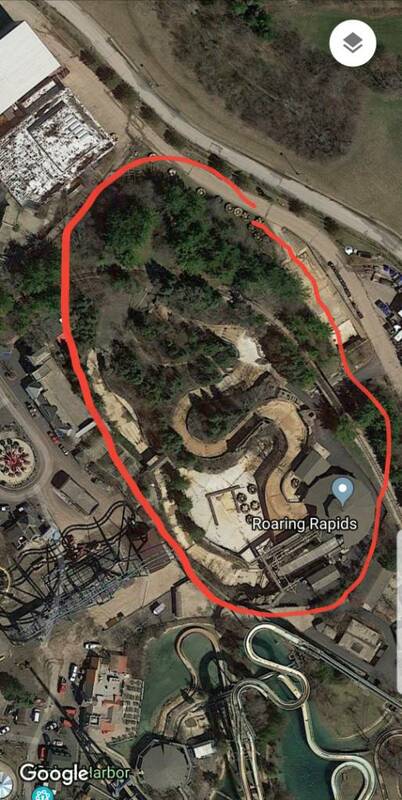 Buccaneer Battle created a dead zone in the park and would be a great place for a RMC Raptor clone or 2 flats (Giga/Giant Discovery and a smaller flat). Sky Trek Tower is not going anywhere. It is a fun ride to cool down in and rest during hot summer days. Even though I agree it is down a lot, it is a great ride for everyone to enjoy. staticshadows wrote: With the Pictorium gone, this would be a great time to implode the tower. While it is entirely possible to bring it down into Pictorium's spot, it doesnt leave much margin for error. Only about 100 feet of safe space for it to land. Last edited by benneluke on June 18th, 2018, 4:07 pm, edited 2 times in total. Wow, it'd be great to have both of these attractions leave the park forever, but I don't believe the go karts are going anywhere since they are an upcharge attraction. I really wonder why they haven't removed Buccaneer Battle yet because it's always empty whenever I walk by on a moderately busy day with hot weather. For some reason I never realized these two attractions were right next door to each other. I hope they don't take out Roaring Rapids because it seems to be popular and works as a trail for FF. I also think taking out Camp Cartoon would be nice. Maybe replace it with a better kids area. Last edited by JT2002 on June 18th, 2018, 5:49 pm, edited 1 time in total. staticshadows wrote: Sky Trek Tower this year and Buccaneer Battle next year. Sky Trek Tower has limited hours and is breaking down a lot this year. With the Pictorium gone, this would be a great time to implode the tower. How do you expect to implode it when it's literally surrounded? With something going into Pictorium's place in 2019 it becomes impossible to take it down this way. We can't do what Cedar Point did to make it land on a nice big open beach. As for what I want I gotta say Demon since it's not the most well maintained arrow and riding it feels worse with each year. Six Flags can paint its logo and station all they want but it won't bring people back to it. They're beating a dead stick at this point. I should also point out that Tower has recently gotten some improvements, anyone bother to notice the new yellow wires running along the edge? The green proximity boxes that were there are now gone so I'd assume this is an improved system and might explain it's recent downtime. Buccaneer Battle needs to go because it's a waste of space and hardly anyone goes on it, V2 needs to go because I don't ride it anymore and it's lame without the brake, I think Hometown Fun Machine needs to go because you can't see it from the midway, Go Karts because it's too expensive and Dare Devil Dive need to go as well because you hardly see anyone on it. I’d like to see camp cartoon expanded & renovated. I’d like to see DDD removed for a skyscreamer. Revolution replaced with a HarleyQuinn/Crazanity/etc. I’d like to go karts to never come back & replace that with a coaster that compliments the Little Dipper cause those go karts do not. FOOTNOTE: If i had my way, Raging Bulls layout would be reworked to be more of a trimless floorless airtime filled coaster as opposed to a trimmed to death hyper-twister. Last edited by AirTimeDaz on June 19th, 2018, 10:29 pm, edited 2 times in total. 1. JOKER - yes I'm serious. What a huge waste of $$ !! 3. Hometown Fun Machine - poor capacity, and Fiddler's is much more intense; basically the same style of ride. 8. Giant Drop - very low ridership (prior to VR) and there's always at least one car parked at the top -> replace with a Skyscreamer or better yet a gyro drop like Drop Line! Last edited by CoasterRiderSC on August 10th, 2018, 2:59 pm, edited 2 times in total. Karts DDD I hate pay extra plus it opens up prime real estate. JLBFM whereas I like it, overtime the concept will greatly diminish because it is afterall a video game. TDK an overall unthrilling ride in a decent location that if utilized the right way could house something decently sized. HH I am extremely anti waterpark. Superman Can anyone honestly say they like this plain jane as a front yard ornament than Shockwave? Goliath! Is it wood is it steel, is it a hybrid? in my opinion its steel dont care about the flack i'll get. Ricochet it is just ok we could use a higher capacity ride there. Bucky you never should have come to our park, we should still have Sky Whirl!. I would like to see Demon get removed. It’s unrideable to me, and by watching half-empty trains navigate the course, to many others as well. Granted, it’s the only rite-of-passage inverting coaster that SFGAm has, so until park management figures out how to replace it, if they choose to, I guess we’re stuck with it. SaveTheWAVE wrote: I would like to see Demon get removed. It’s unrideable to me, and by watching half-empty trains navigate the course, to many others as well. Granted, it’s the only rite-of-passage inverting coaster that SFGAm has, so until park management figures out how to replace it, if they choose to, I guess we’re stuck with it. I rode the original "Turn of The Century" back in 1976, and then "Demon" in 2015. Demon hurt in 2015, but I don't remember Turn of the Century being anything but the best rollercoaster I'd ever ridden (up to that point). It was fun with no pain. The conversion to Demon could have hurt the smoothness of the ride, or time may be taking its toll on Demon's superstructure (or mine, for that matter). The abrupt entry into the loops and corkscrew don't feel good. Smooth those out and I'd ride Demon again. I’ll admit that I enjoy the heavy g forces between the drop and first inversion on Demon. The rest of the coaster, not so much. There are two areas I would love to see removed for future attractions. As much as I love AE, that's a lot of potential that I would love to see be utilized some time. Let me dream, I know there are supposedly permits they cant build anything in its place bla bla bla, let me imagine and be happy okay? 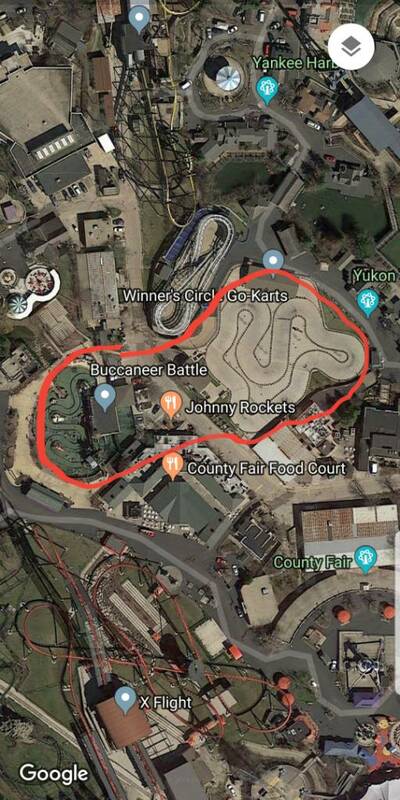 Another area I would like to see is if the go karts, buccaneer battle, and the games by revolution were removed to creats a lot of open land. they could do a fair bit with that. These rides make my list. 1. Demon: With a pretty short guy like me it hurts my head and ears a bunch. 2. Buccaneer Battle: Everytime I try to go it breaks down. 3. Go Karts: I hate the noise it attracts to the place when I'm trying to hear what my friends are saying. 4. Joker: I don't get why Six Flags adds SO MANY CLONES. Like seriously Over Texas: Joker, Fiesta Texas: Batman: The Ride and now Mexico: Wonder Woman.